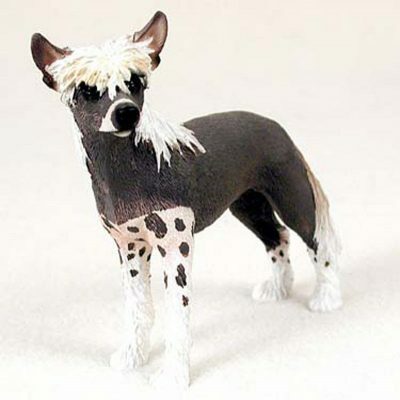 The Chinese Crested dog figurine wins number one for most unique appearance and color scheme. 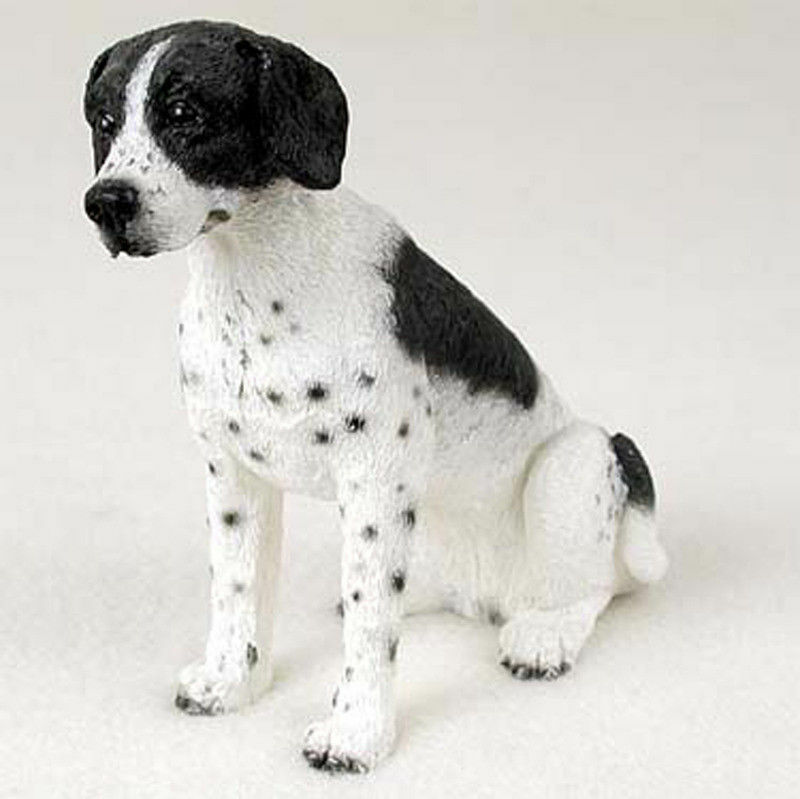 Black, white, and pink colors create the figurine. White is present on the paws, legs, around the nose, and upper mane. The base of the tail is tan/pink, while the tip of the tail is white. Pink is located inside the ears and front shoulders. Brindle/black spotting is present on the front shoulders and hind elbows. 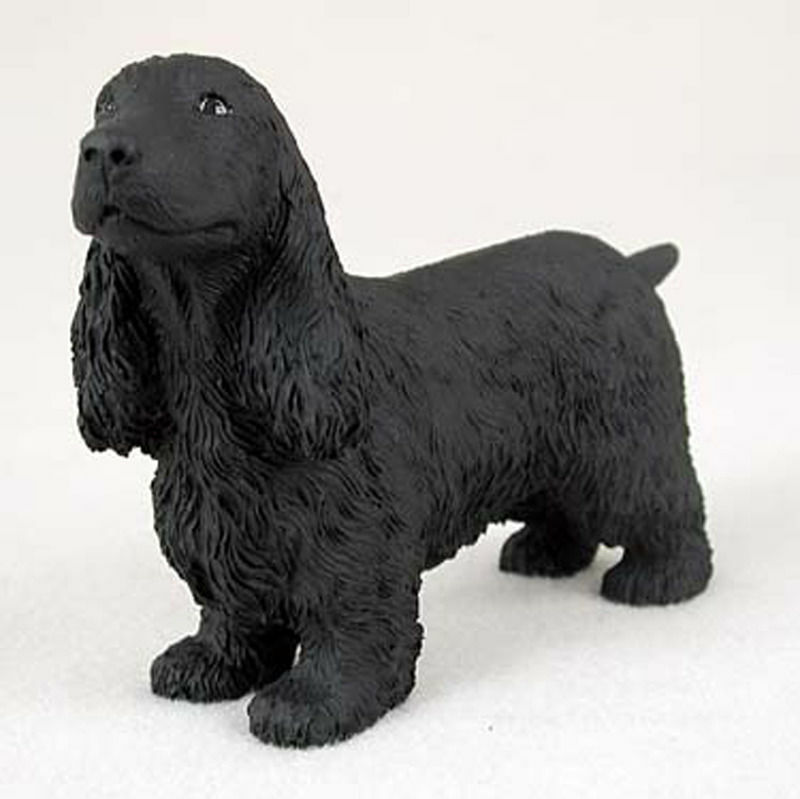 The remainder of the figurine has a black/brindle color. 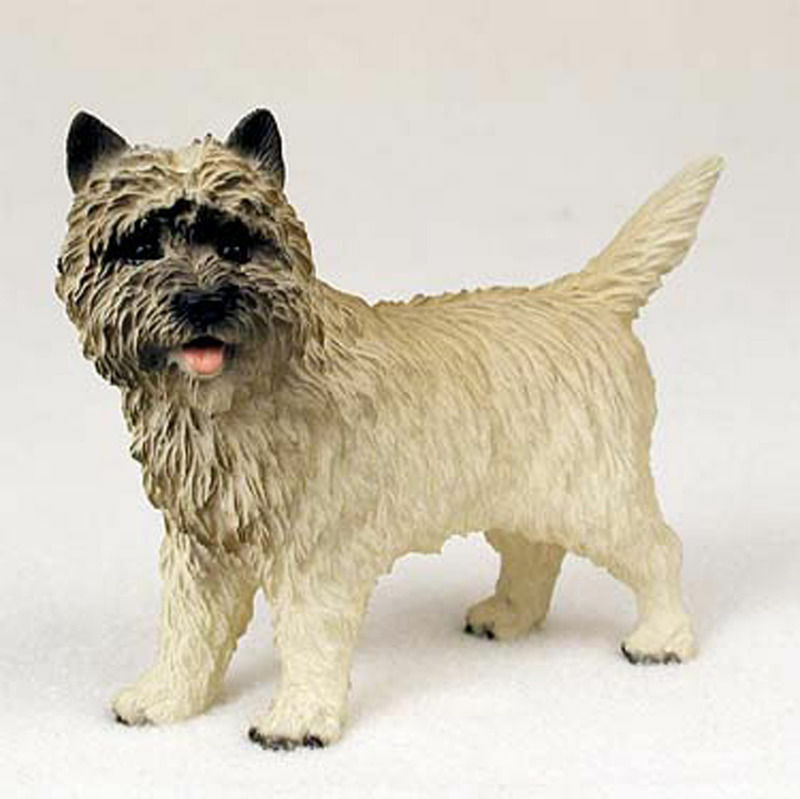 The mouth is closed and the tail is narrow but shaggy. 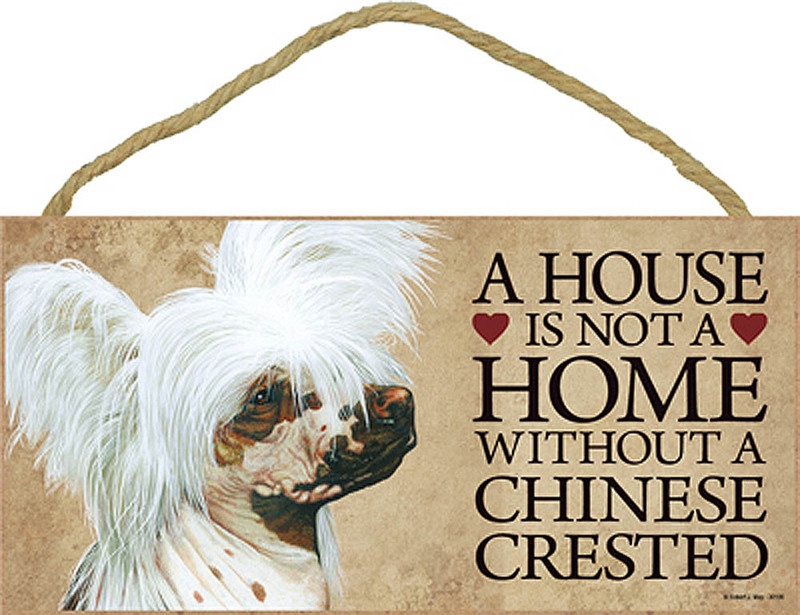 The coat on the body is nearly hairless with hair on the upper mane, tail, and paws.